Have you ever had a crush on a person who was out our league? You spend weeks working up the courage to talk to them. Finally, you find the perfect opportunity. Your heart is beating out of your chest, you walk over and sheepishly say “HI” and ask them out on a date. This exact thing happened to me and it all got messed up by a weak “dead fish” handshake. I was 16 years old and head over heels for the most beautiful girl in my class. I laid the groundwork and talked with her a few times before finally asking her out. She said yes, but with a catch! I had to meet her dad first. Now, I was not the most impressive 16-year-old boy in the school by any means. I was a skinny, lanky young man with a bit of an acne problem, who would rather play video games and build computers than join the football team or run in track. Meeting her father scared the crap out of me. Would I get his approval or would he crush me like a bug? The day finally came where I would be picking her up from her house and meeting her family. I drove up to the house in my little Mazda, nervously got out, walked up to the door and rang the doorbell. A massive man answered the door and introduced himself. I quietly gave him my name while gazing down at my toes. 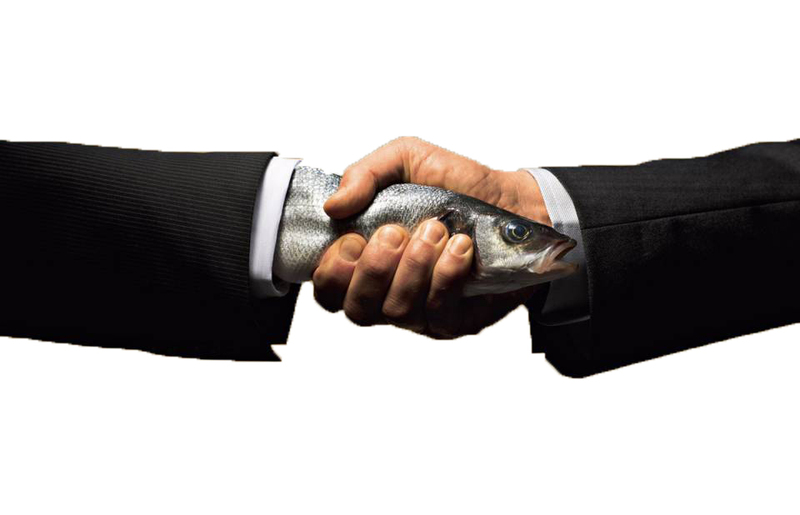 He reached out his hand for the all too important handshake and I proceeded to give him the weakest dead fish handshake of my life. His hand engulfed mine. From there I could do nothing to impress the man. My first impression was awful, guaranteeing that my relationship with his daughter would be short lived. Here are the steps to a proper handshake. Make eye contact and put your hand out. As they reach their hand out, grasp their hand so the base between your thumb and pointer finger meet theirs. Make sure you don’t come up short by grasping their fingers. This will not lead to a good handshake. Shake their hand twice. Up down up down. No more and no less. Make solid eye contact and give them your name and title. Then release and continue the conversation. Don’t be a dead fish. Learn to give a good handshake. If you would like to learn more about a career in real estate check out realestatetraininginstitute.com, call 800-727-7104, or email info@traininginstitutesedu.com. This entry was posted in Real Estate and tagged Education, Handshake, real estate.